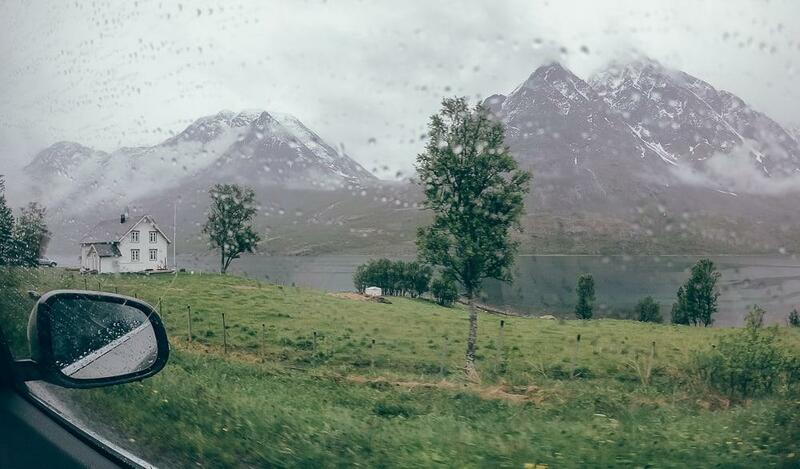 I first heard about the Lyngen Alps when I was a little girl, and I remember being so impressed that Norway had alps. Like Austria and Switzerland! 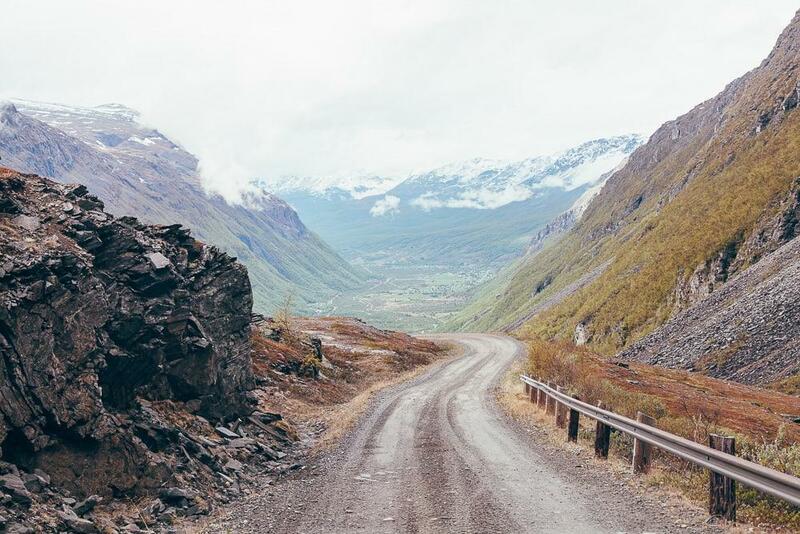 And I guess the idea of Norwegian alps continued to enchant me, because the Lyngen Alps was probably the area of Northern Norway I was most excited to see on this two week road trip. Guys, the Lyngen Alps did not disappoint! And it turned out our accommodation near Lyngen would give us the perfect view of them. 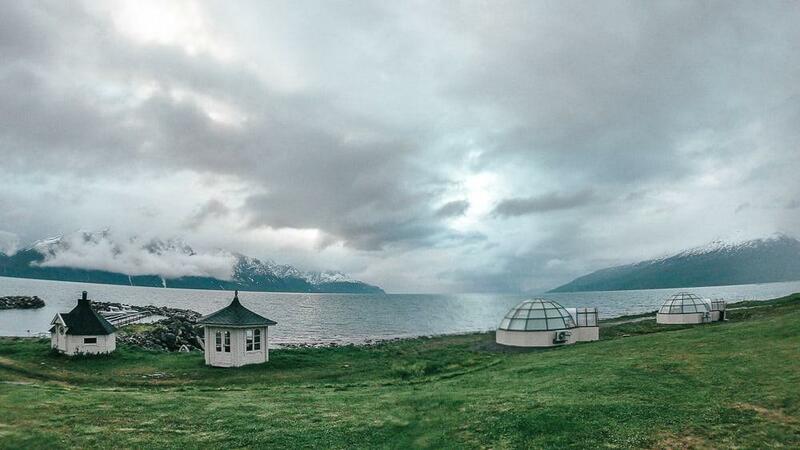 Dan and I stayed in a glass igloo at Lyngen North, right on the water. 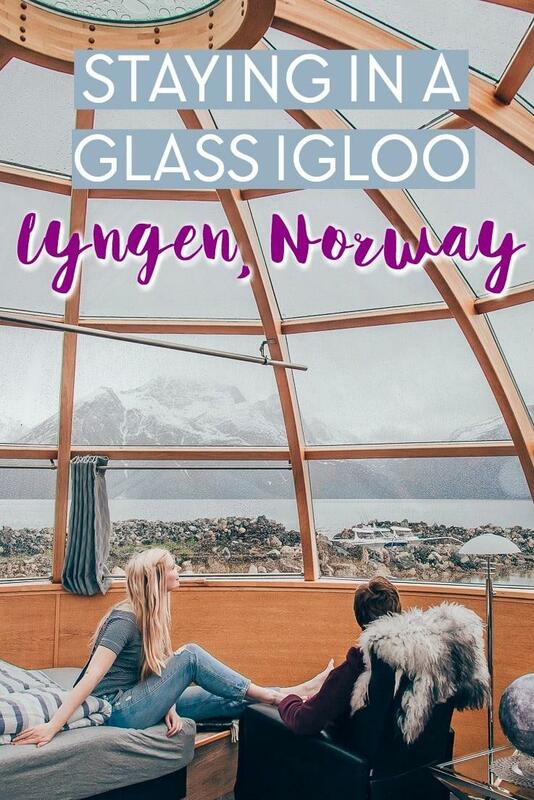 Now, I’ve always wanted to stay in a glass igloo in Norway in the winter to see the Northern Lights, but I didn’t think staying in them in the summer was even a thing. Like, how were were supposed to get any sleep? Well, that and something about curtains + an eye mask. Though actually in the end I didn’t even need the mask. Dan and I left Tromsø in the morning, which gave us the day to explore the Lyngen Alps a bit before catching the ferry across to our accommodation. Though first we made a detour to go to a waterfall Dan had read about. I can’t remember if I blogged about this, but when Dan and I first started dating he took me on a hike to a waterfall in Laos. It was approximately a million degrees that day and we hiked for hours with the only sign we were getting close being the faint sound of water that Dan claimed he could hear. I never heard any water. It was nearly the end of a relationship that had barely started. Now I’m not going to say that this waterfall hike was nearly the end of a four year relationship, but I will say that we once again failed to find any waterfalls. I’m hoping this means Dan will give up on them. At least the mountain views were pretty! And if you do want to hike to Gorsa Bridge, just be sure to stay on the main road after parking your car, as if you stray off the road you might miss the sign for the turn off. Lesson learned! 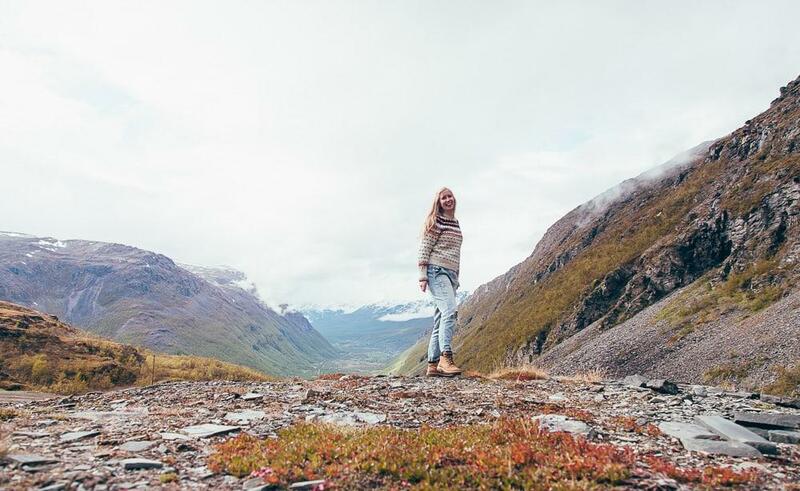 But it didn’t really matter, because we were in for the best view of all at Lyngen North. Seriously, this was the prettiest place we stayed during our two weeks in Northern Norway, and one of the prettiest places I’ve ever stayed in Norway. 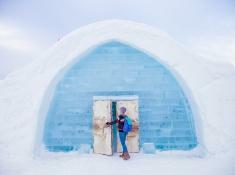 The igloo is in Rotsund, which is a super quiet area – there were only a few houses and farms nearby. 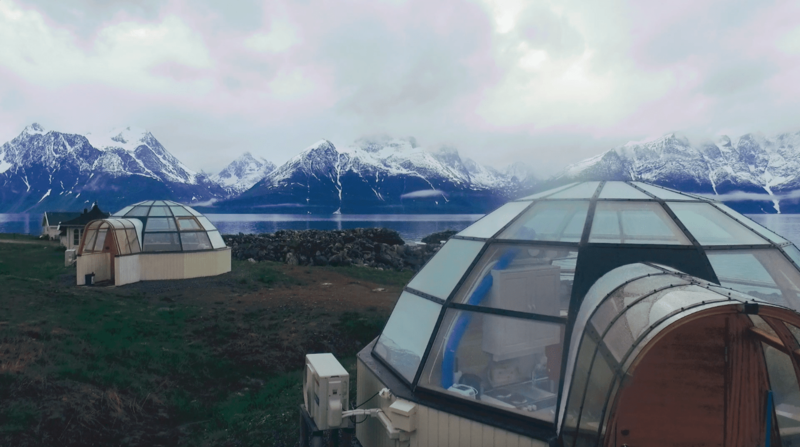 And if staying in a glass igloo isn’t for you, the property also has a couple of cabins you can stay in instead. 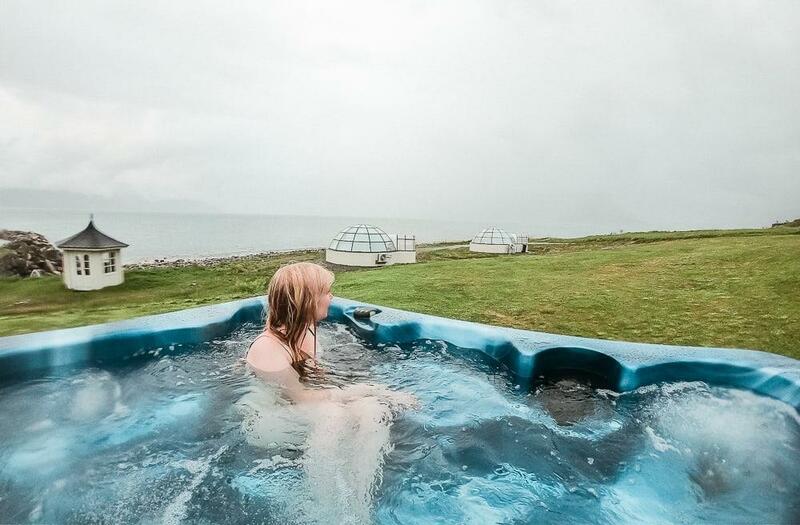 Oh and they also have an outdoor jacuzzi! 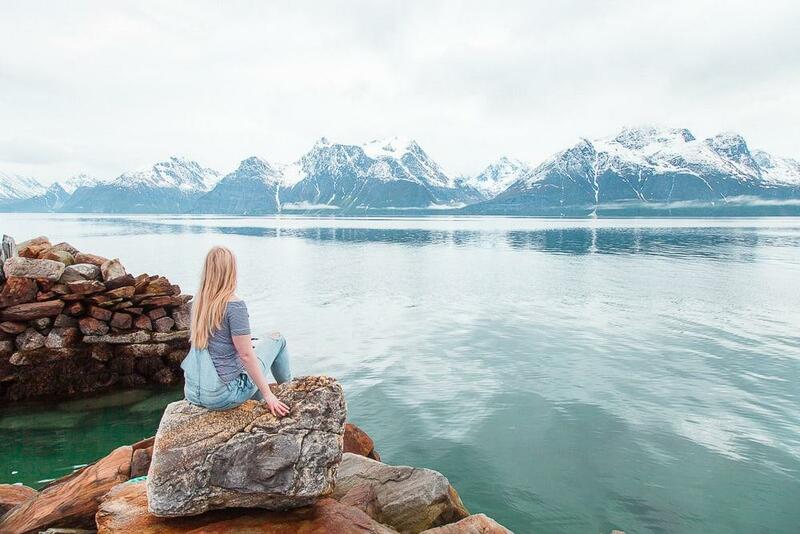 The property is positioned perfectly so that you can watch the midnight sun dip down and back up over the water, though sadly it was just a bit too cloudy for us to see the sun. We did catch glimpses of it through the clouds though! 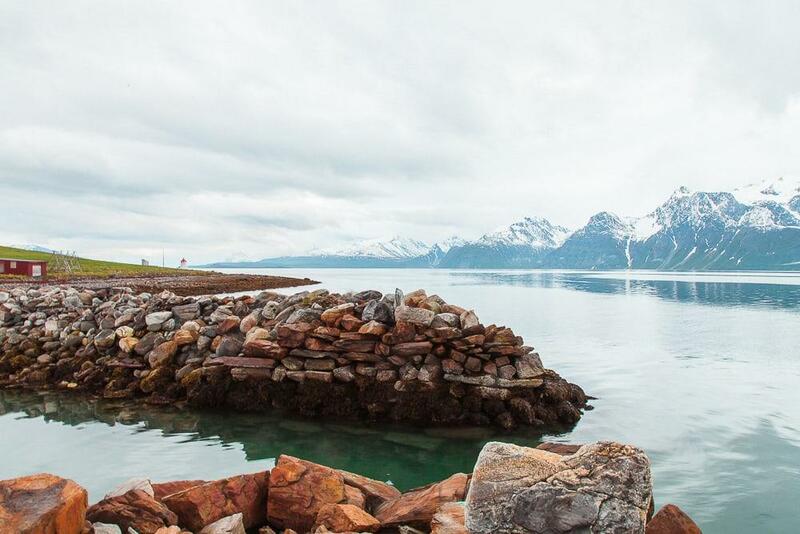 You can check prices and availability for Lyngen North here. 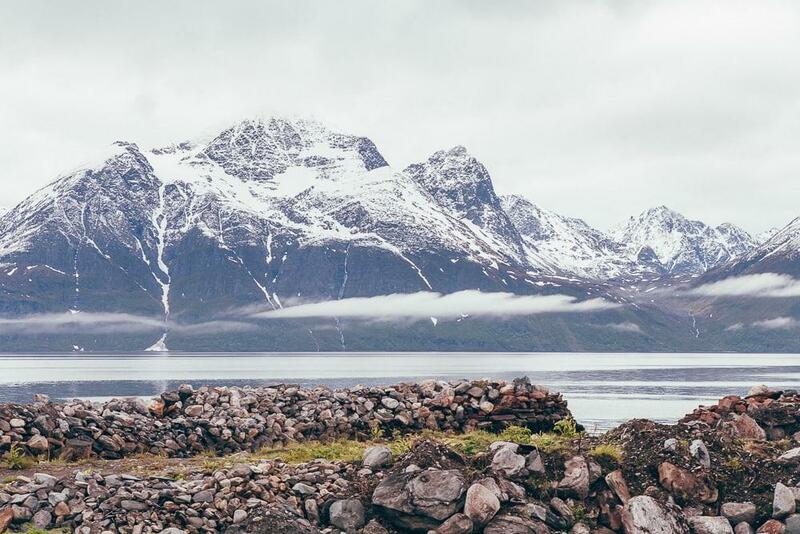 And definitely, definitely consider adding a trip out to Lyngen if you’re in the Tromsø area, as I really think it’s one of the most beautiful places in Norway. 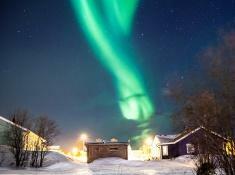 Now I’m just trying to find a way to return in the winter to catch the Northern Lights. 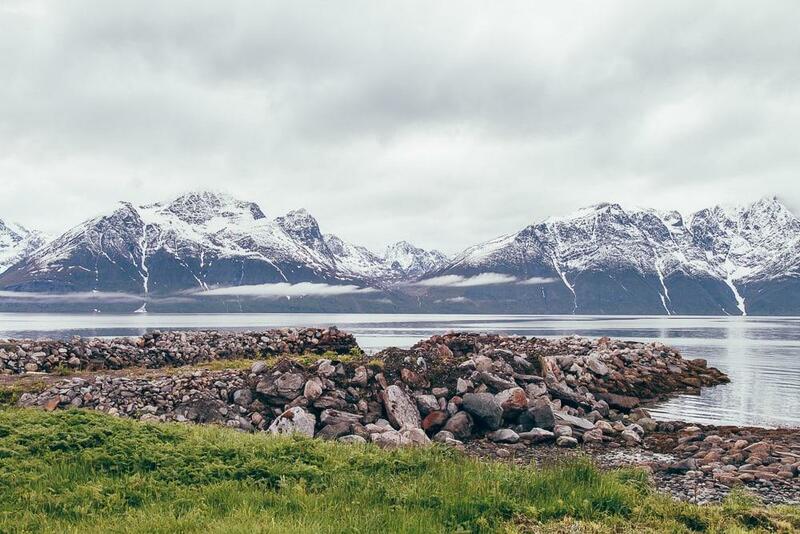 I visited Lyngen in collaboration with Northern Norway and Visit Lyngen. Oh wow, that does sound amazing! I really need to return in the winter. I just found your blog by chance. Thank you for sharing your content. It is truly beautiful. I am planning a 4 nights trip to Tromso early February, and after reading this article i think we will take a 1 night detour in Lyngen Alps, is 1 night enough in this place? 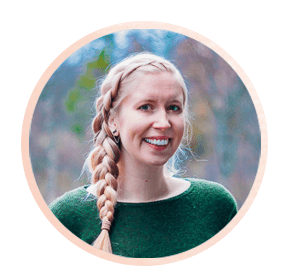 Also please can you tell me the best way to travel to Lyngen from Tromso via bus or rented car? I think one night here would still be worth it, if that’s all the time you have. 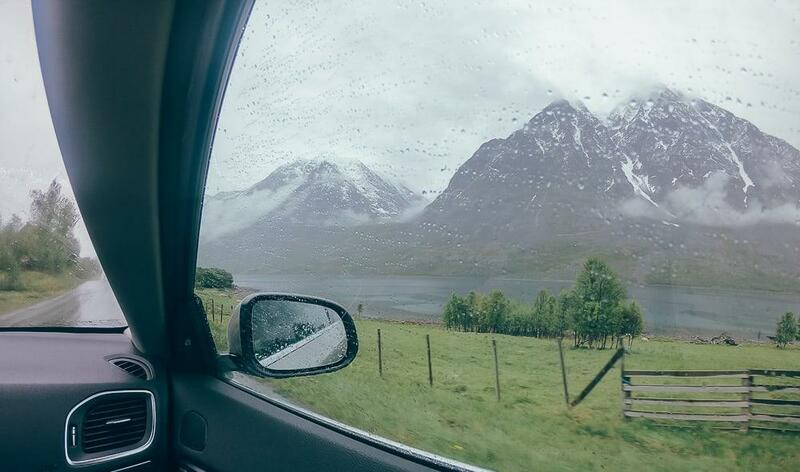 I would definitely rent a car to get here though! You’re right! It’s the prettiest inn. It looks like you’re camping at the moon. LOL. 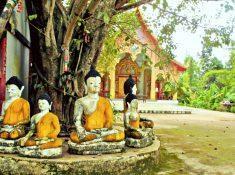 And the ambience of this place is very nice. 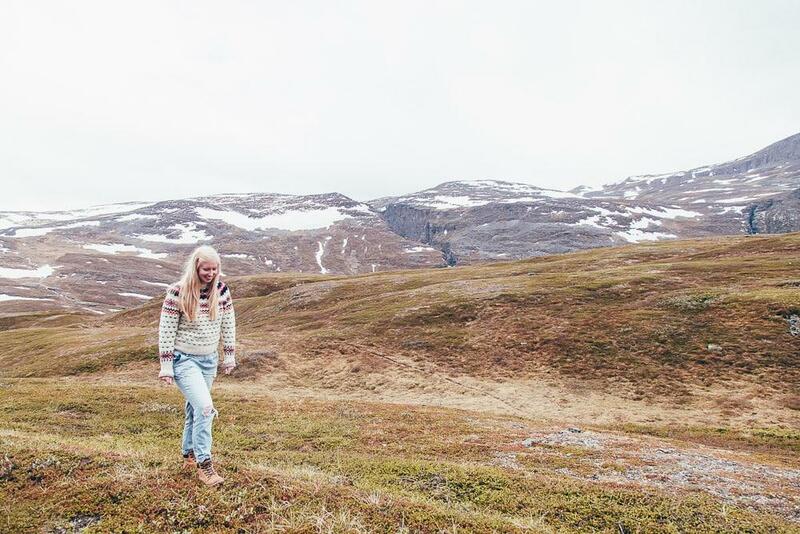 Thumbs up to Northern Norway. Haha it does look like we’re on the moon! In a very pretty space craft. we are planning a rail trip to Norway next year with a company called Vacations by Rail. We will go to Bergen and Oslo with some stops along the way. We have not been able to find any reviews about their rail trips in Norway. Do you know anything about them? I’m afraid I’ve never heard of them, sorry! The igloos!!! 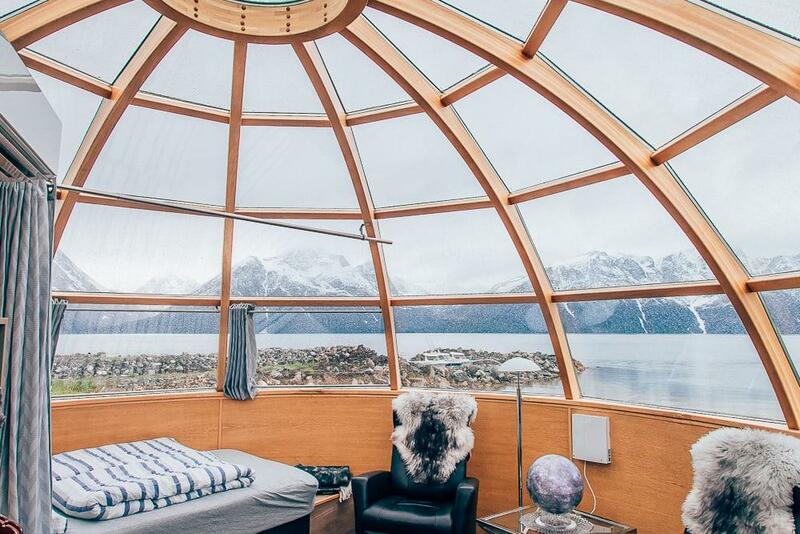 That is the most incredible accommodation for that location…everything is so pretty! What an experience. It seriously was the best experience! The lake view is so beautiful! I know that Norway is a beautiful country but never thought that it is this beautiful. I’ve been coming to Norway my whole life and it continues to blow me away.